If you’ve already visited a lot of the major tourist destinations across the globe, perhaps it’s time to consider thinking outside the box. There are many countries around the world that were once regarded as too dangerous for travelers, or that have not had much tourist infrastructure in place, that are just starting to come into their own. Whether you’re looking for picturesque scenery to admire, animal sightings to tick off your bucket list, or architecture and cultures to examine, there are plenty of unexplored destinations that you can visit now, before the masses descend on them. If you’re keen to travel to a new nation in the coming year, read on for some of the top spots to consider. A fast-emerging destination that is sure to draw big crowds soon enough, Myanmar is finally back on track to lure tourists. The country spent years oppressed by a brutal regime, and there was a tourism boycott in place for 15 years. However, a few years ago, when pro-democracy leader Aung San Suu Kyi was released from house arrest, the boycott was lifted and the country previously known as Burma moved from a military to a democratic government. Tourism numbers have been on the up and up since, with around a million visitors heading to the country last year, and seven million international tourists forecast to visit in 2020. This beautiful, and culturally rich, nation is fast becoming one of the most exciting spots to visit in Asia. It provides an enticing mix of stunning scenery, fascinating temples, and cultural experiences for travelers to enjoy. Due to many years of oppressive authoritarian rule, the country feels like it was stuck in a time warp. Visitors can take in the slow pace of Yangon, and glittering golden stupas, as they explore this part of the world that feels like the Asia of old. When many travelers think about the largest country in Central America, they picture the violence of the 1980s Contra Wars that tore the country apart. However, Nicaragua is no longer a dangerous place to visit as it once was. This very picturesque nation today has the feel of Costa Rica from three decades ago, and is the perfect place to travel on a budget. 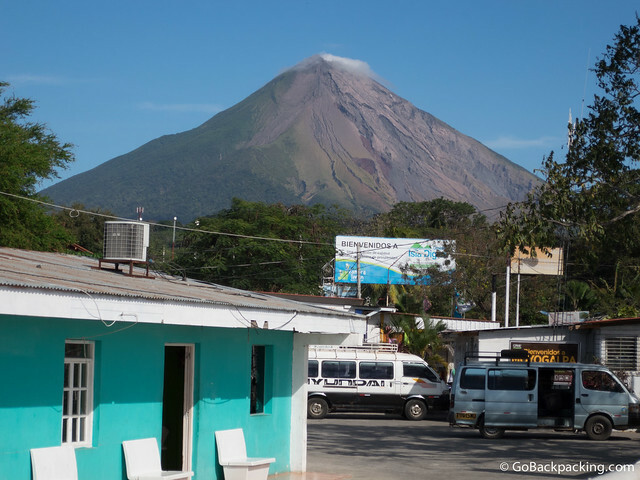 Although Nicaragua is one of the poorest countries in the Americas, the nation actually boasts decent infrastructure, with well-maintained highways, easy Internet access and a good range of accommodation and restaurant options. Journey to this “Land of Poets” to explore natural beauty that will take your breath away. Check out cloud-forest covered volcanoes, tropical rainforests, cobblestone streets, palm-tree covered islands, and rows of colonial relics. Note that, while Nicaragua has a couple of international airports, it is generally more affordable to fly into nearby Costa Rica and then head north by bus. Many travelers book tickets to Rwanda in order to set out on an epic wildness adventure — that of tracking the awe-inspiring gorilla. The “Land of a Thousand Hills” is home to one-third of the remaining mountain gorillas in the world, as well as the same percentage of Africa’s bird species. Due to the 1994 genocide, as well as reports of ongoing rebel activity in the regions of Rwanda that border the Democratic Republic of Congo, many tourists have been staying away from this beautiful part of Africa. However, this nation is a land of vast beauty, epic wildlife watching, volcanoes, islands, tea plantations, and a fascinating culture. The country’s government is investing heavily in tourism and infrastructure, and expects visitor numbers to grow rapidly. Indeed, total revenue collected from the tourism sector in 2013 was $293 million, but this number is expected to reach $860 million by just 2017. Bosnia and Herzegovina was devastated by the brutal civil war of the 1990s, but this remarkably undiscovered region of Europe has since made great progress in restoring peace and stability. If you loved visiting Croatia but found the crowds too much, especially in summer, make sure you put Bosnia and Herzegovina on your list for your next holiday. This European treasure is also full of amazing scenery, fascinating history, and an interesting mix of people, but the country has not yet seen the same influx of tourists. Visit Sarajevo to celebrate the city’s revival from the war; hike through the rugged wilderness of Sutjeska National Park; and turn back the clock when you enter the Herzegovina region in the south. Skiers can also enjoy excellent snow during the winter months in this part of the world. Glad to see Myanmar on the list. It’s a country that’ll probably always be “undiscovered”, attracting nowhere near the numbers of visitors neighboring India & Bangladesh attract, which is a-OK with those who have discovered it!